Frank Vincent Finds His Fit in "Chicago Overcoat"
In this stylish 2009 film from director Brian Caunter, Lou is an aging hitman for the Chicago mob who hasn’t killed anyone for 20 years and never rose through the ranks, but is now looking for one last lucrative job so he can retire to Las Vegas. “I don’t have any delusions of status,” he says in one of the movie’s many well-written voice-overs. The screenplay is by Josh Staman, Andrew Alex Dowd, John W. Bosher and Caunter. Lou is given another chance when authorities begin investigating mafia embezzlement of a union pension fund. The investigation threatens a crime boss played by Armand Assante, who is in prison for a short-term sentence that could stretch to 25 years if witnesses talk. The chieftain wants those witnesses murdered, but there’s not enough cash in the budget to hire a young, agile killer for the job. 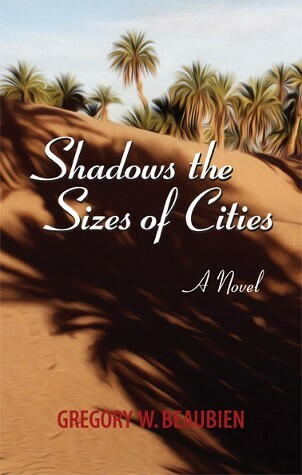 Lou asks for the assignment, against the initial resistance of his organized-crime superiors, who remind him that such work is a young man’s game and the pay isn’t worth the risk for him. But Lou has a daughter who’s divorced from her young son’s deadbeat, coke-head father, himself a member of another Chicago-area mafia crew in Cicero. Lou wants to provide for his daughter and grandson and move to Vegas for a fresh start. Vincent, who died Sept. 13, 2017, memorably portrayed gangsters in the Martin Scorsese films Goodfellas and Casino, and also played Tony Soprano’s nemesis Phil Leotardo in the final season of The Sopranos. In Chicago Overcoat, his character arranges an alibi for his newly commissioned hits by reuniting with his former lover, Lorraine (Kathrine Narducci, who played Charmaine Bucco on The Sopranos). Have the talented young filmmakers behind Chicago Overcoat received the esteem they deserve? Made for $3 million and shot on 35-millimeter film by six then-recent graduates of Chicago’s Columbia College film school, Chicago Overcoat is a remarkably accomplished piece of independent moviemaking. (The title is Depression-era slang for a coffin.) Particularly impressive is that the graduates, who were in their early twenties at the time, not only got a feature film produced with recognizable stars (who also included Stacy Keach and Mike Starr), but they convincingly wrote the story from the point of view of a man in his sixties whose glory days are far behind him and who is looking for one last opportunity to regain his self-respect. 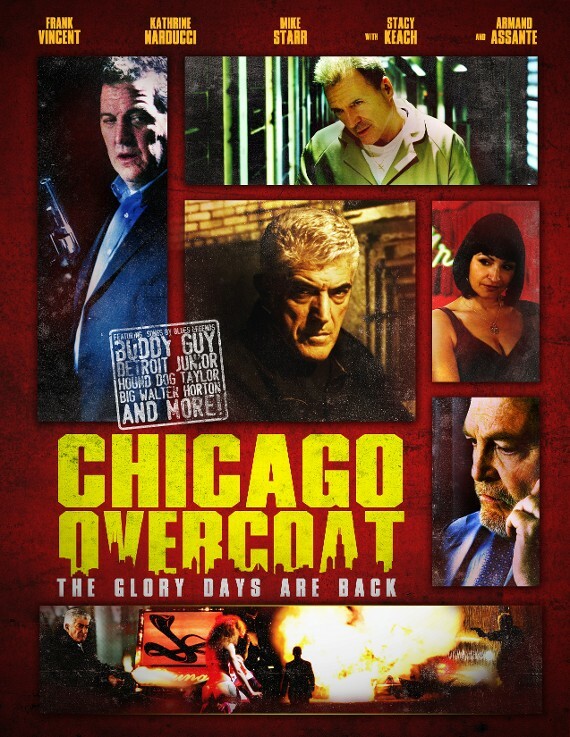 In September, the filmmakers are commemorating the tenth anniversary of starting principal photography on Chicago Overcoat. Charles said the costs of a theatrical release were too high, so the film premiered on Showtime. “It’s just so difficult to compete with studio films that have huge marketing budgets,” he said. “It’s incredibly expensive to put a movie in theaters.” Chicago Overcoat has since been released on home video and through Redbox, Hulu, iTunes, Netflix, and most recently, Amazon Video, where Amazon Prime members can watch the movie for free. 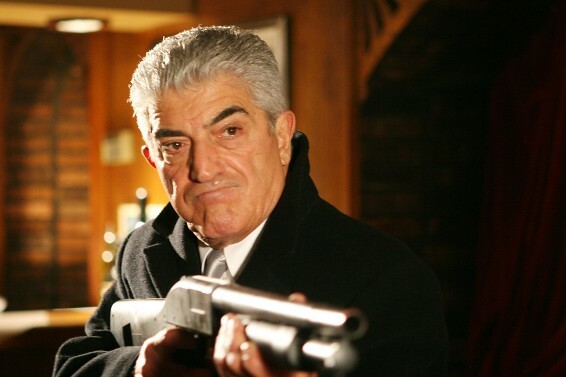 Actor Frank Vincent in Chicago Overcoat. In a strange and sad coincidence, Frank Vincent died the same day this story was first posted, at the age of 78.